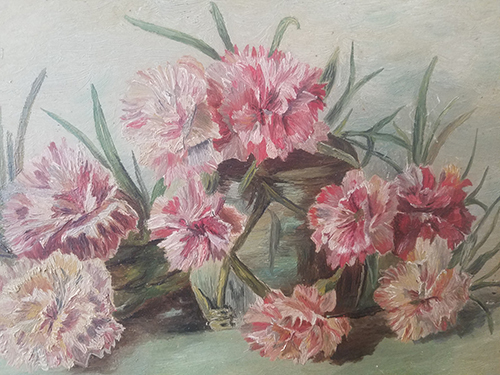 ARTIFACT: This is a vintage 1890�s oil on board painting of carnations. The amount of detail in the painting is impressive, with everything from cool blues to deep reds with white accents. 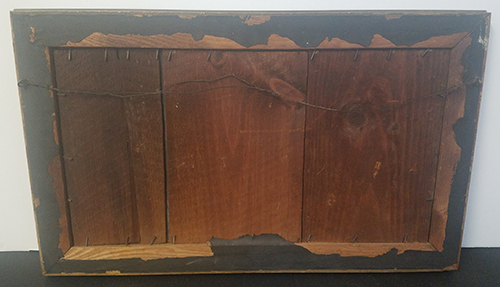 CONDITION: 8 (Excellent-): The oil paint has some dirt, but it doesn�t detract from the overall quality.